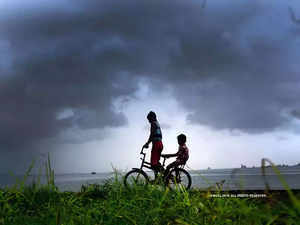 The Met department has forecast Southwest monsoon to be 96 per cent of Long Period Average. The Meteorological Department has forecast a near normal monsoon this year. The Met department has forecast Southwest monsoon to be 96 per cent of Long Period Average. The IMD classifies rains at 96 per cent of the LPA as near normal. LPA is the average of rainfall between 1951 and 2000, which is 89 cm. Anything between 90-95 per cent of LPA falls under the "below normal" category. The IMD will issue second stage forecast in the first week of June.